KATHMANDU, Jan 11: The government has not appointed even a single teacher at public schools through open competition since the last two decades. Officials at the Ministry of Education say that the government's reluctance to immediately open fresh vacancies for school teachers is just a ploy to appoint temporary teachers under the influence of political leaders. The government has done nothing significant to amend the Teachers' Service Commission Act and its regulation in line with the Education Act and the constitution in the new federal setup. The ninth amendment to the Education Act 2017 has included controversial provision to call for vacancies of teachers in which 75 percent of the posts are allocated for appointing temporary teachers to the permanent posts. On paper, permanent teachers are to be appointed in the remaining 25 percent posts through open competition but the government has not held open competition since 1996. There are a total of more than 29,000 public schools with about 6 million students across the country, according to the MoE. About 30,000 posts of permanent teachers are lying vacant in these schools. The total number of quota for permanent teachers in public schools is 107,841 including 30,000 vacant posts. The existing Teachers' Service Commission (TSC) Act and its regulations consider school education up to Grade X and secondary level teachers should have at least Bachelor's Degree to compete for the posts. Meanwhile, the eight amendment to the Education Act provisions school education up to Grade XII. Only Master's Degree holders are eligible to teach in grades XI and XII as per the laws of the Higher Secondary Education Board, which has now been dissolved after the school education was extended up to Grade XII. Although the government has not announced vacancy for school teachers through open competition since 1996, it did announce vacancy for nearly 20,000 posts in March-April 2017 targeting mainly temporary teachers. As per the eighth amendment to the Education Act, 49 percent of the vacant posts were to be filled by appointing temporary teachers to the permanent post. Later, the government amended the Education Act again after three months provisioning 75 percent of posts for temporary teachers and 25 percent for open competition. 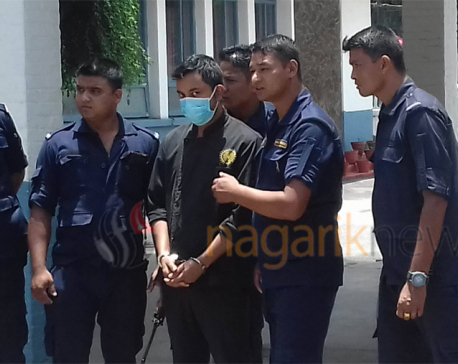 The vacancy was announced after the protests of temporary teachers and the ninth amendment was made on the initiation of Education Minister Gopal Man Shrestha. Most of the 30,000 temporary teachers do not have mandatory teaching license and also lack adequate training, according to TSC sources. They had failed several times in the internal exams in a bid to get appointed as permanent teachers. The teachers' unions and temporary teachers are creating undue pressure to appoint all temporary teachers as permanent ones while the prospective candidates and student unions have asked the government to annual the internal vacancy and call for fresh and open competition for all. More than 700,000 prospective candidates holding teaching license are deprived of competing for the posts of permanent school teachers due to the unwillingness of the government to hold open competition.